Methodist Women in Britain (MWiB) is not a private club that you must join: if you are a woman and a Methodist, then you already belong to this group. We have a proud heritage stemming from the twin roots of Women’s Work, founded in the 1858 to support training and care for women missionaries, and Women’s Fellowship, started in 1945 out of a concern to address social problems resulting from the war. These two movements merged in 1987 to form the Women’s Network of the Methodist Church, with a clear place in the Methodist Connexional team. Change came in 2008 resulting in the launch in 2011 of Methodist Women in Britain as an independent, self-financing organisation. Our aim today is to connect women with an interest in creative spirituality and a passion for global social justice. Methodist Women in Britain’s main decision-making body is the FORUM, which meets twice each year. Every district in the British Methodist Church has a representative on the Forum who meet along with the executive members, the Helen Kim Scholar and the Women’s World Day of Prayer Methodist representative. MWiB has a seat at the Methodist Conference and relates to many parts of the Connexional Team. However, MWiB does not have Connexional Team staffing, nor funding from the Connexional budget. 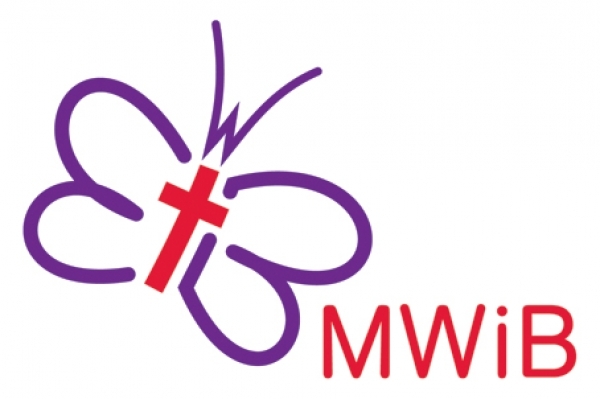 For more information about MWiB see the National Website: http://mwib.org.uk/ where you will find useful resources and information about national events. The District President chooses two charities that over her two-year tenure we support through fundraising and personal giving. An example of this is Sunshine Money which is collected throughout the summer and which is dedicated at an appropriate event. The idea is that you save a pound (if you can) for each day of sunshine during August and then it is collected in during October. The charities this year will be Cricket Without Boundaries (CWB) which is a UK registered charity that uses cricket as a vehicle for delivering health and social messages in sub-Saharan Africa. It is run almost entirely by the dedication and enthusiasm of its volunteers. Since its formation in 2005 CWB has become one of the world’s leading Cricket Development charities. It is dedicated to helping, educating and developing local communities around the world through the spread and growth of cricket. To link the sport to health and social messages and incorporate these messages into coaching sessions. The second charity is IDAS, (Independent Domestic Abuse Service) which started life as York Women’s Aid over 40 years ago. York Women’s Aid was one of the first refuge providers in the UK and was developed from a 2 bedroom flat donated by a local businessman. More than 10 years ago they started to work outside of the area of York to deliver community based services in Easingwold and Northallerton. They also began providing support to male victims of abuse. To reflect their new areas of work and new remit, they decided to change their name to Independent Domestic Abuse Services (IDAS). See details below for our District events and a list of District Officers. All meetings unless otherwise stated, begin informally with coffee at 10am and formally by 10.30am and finish by 3.15pm. If crèche facilities are required at any event, please contact Anne Kirkman in advance. Unless otherwise stated, please bring something for a “Bring and Share” lunch for day events. Drinks are available at the venues.